Three years ago Jamila Ford-White moved into YMCA Walthamstow aged just 16. 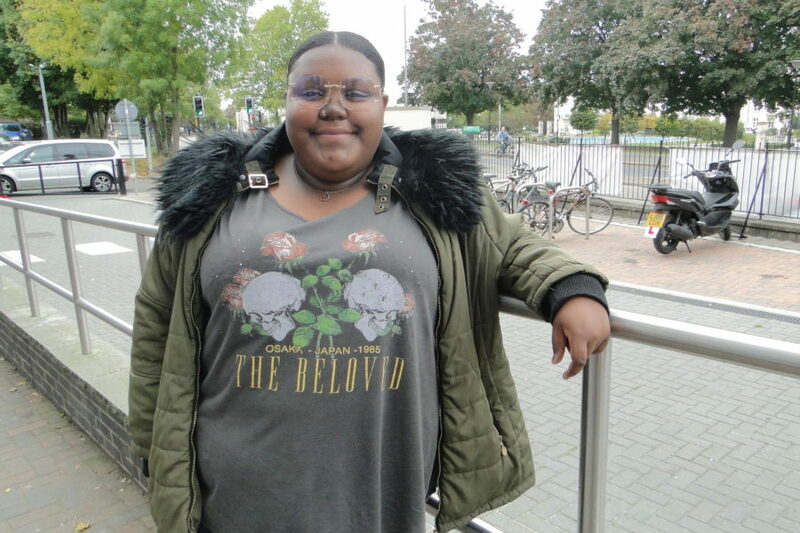 She joined the Youth Work team as a volunteer and has been shortlisted for the Mayor’s Team London Volunteering Awards which take place on 6 November at City Hall. Jamila came to YMCA Walthamstow because the relationship with her mum had broken down. “My mum and I didn’t really get on that much and it got to the point where it just wasn’t the safest place for me to be, as our relationship broke down, so my mum decided that I needed to leave,” she explains. Jamila loves being around people – and they love being around her. And she has a good empathy for when young people are feeling low. “If I see people upset, I tend to start off talking about myself and my own experiences – and it draws them out. In Diva Zone, the kids talk about their friends and boys and stuff, and they chat to me about that. I think it’s interesting to know what’s going on and if we can help in any way, then that’s what we do,” she explains.